Dan Brown’s ‘The Lost Symbol’ - A curse or a blessing in disguise? With a new, Masonically-based, feature film looming, W.Bro. John Wren-Potter PM* reviews the effect that author Dan Brown has had on the recruitment of new Freemasons into the Craft. With its plot woven around Masonic symbolism, and the film of the book heading for cinemas worldwide, just how much of a threat is Dan Brown’s ‘The lost Symbol’ to recruitment into Freemasonry? 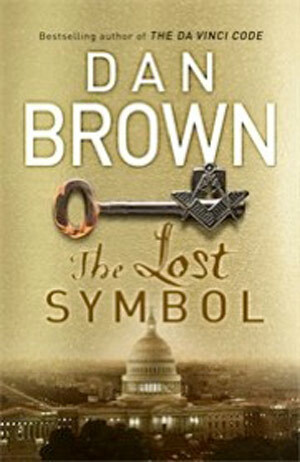 Since Dan Brown’s novel The Lost Symbol, with its plot woven around the secrets of Freemasonry, burst into the book stores in such a blaze of international publicity, much has been broadcast and written, both in the world’s press and the various Masonic publications, about the damage done to the reputation of the Craft by Dan Brown through this fictional novel and, indeed, his novels that preceded it. Yet are there any actual statistics available to verify whether worldwide Masonic membership has been dramatically damaged, fallen or increased since the publication hit the shelves? Frankly, Freemasons have little to complain about. If one were to set a budget, in terms of advertising, of how much it would cost the various Grand Lodges to advertise Freemasonry worldwide to get the Craft ‘noticed’ around the globe through the press, the Web, radio and TV - the cost would run into millions upon millions of dollars. A mountain of money so high that all but Bill Gates would gasp. Why should we Freemasons complain about what Dan Brown has written? We shouldn’t! - because Dan Brown and his publishing house Doubleday have done all of the above for us for free. A massive global publicity campaign for no cost to Freemasonry. What’s more, he’s about to do it all again because, in 2012, Columbia Pictures will release The Lost Symbol, with all its Masonic undertones, on film in cinemas all over the world and, once the DVDs flood the stores, to a much more massive audience than the book could ever reach. Dan Brown’s The Da Vinci Code was the fastest selling book of all time when it was released in the UK and the USA. In the first three days the novel was selling at the rate of one copy every 2.2 seconds - that’s a lot of books. So Brown is no stranger to success and, with the film version of ‘The Lost Symbol’ already on the cutting-room floor, Freemasonry had better embrace what’s coming next. On the basis that “all publicity is good publicity,” our Lodges should ride the publicity wave when it arrives and place advertisements in every newspaper in every Masonic district the week the film comes out, so that when they wish to learn the real truth about Freemasonry, good men know where to find us. Thank you Mr Brown, you could be a blessing in disguise. “As we would expect, Brown pulls back the veil - revealing an unseen world of mysticism, secret societies, and hidden locations, with a stunning twist that long predates America,” said Kaufman. 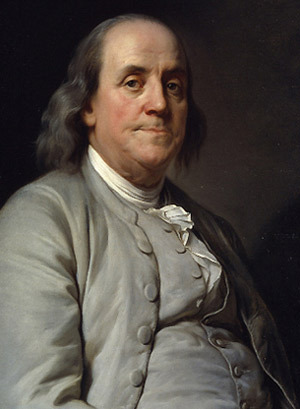 A printer and a polymath, Ben Franklin was yet another signatory of the US Declaration Independence who was a Freemason. 2 - What does ‘The Lost Symbol’ have to do with Freemasonry? When the hardback edition of ‘The Da Vinci Code’ was published, Dan Brown intentionally placed clues within the cover artwork about his next novel. Brown’s books make frequent use of symbolism and secret code breaking. On the inside paper flaps of the original hardback edition, certain letters were printed darker than others. When copied down in order, they revealed a phrase of ritualistic significance specific to Freemasons. The first announced title of the book was ‘The Solomon Key,’ and the biblical story of the building of King Solomon’s Temple in c.1000 BC is central to Freemasonry’s ritual cere- monies and mythical origins. 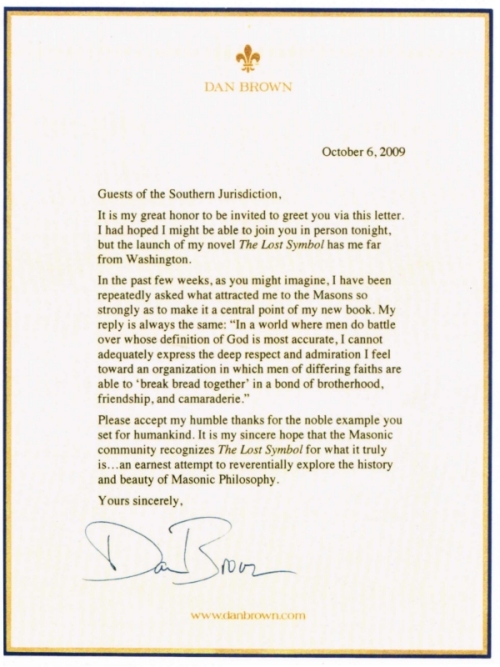 In May 2004, Brown made a rare speech in Concord, New Hampshire, and said his sequel to ‘The Da Vinci Code’ would be about the Freemasons. He added that Masons should be happy because there is so much misinformation about the group. Once ‘The Lost Symbol’ was published, speculation came to an end. Freemasonry does indeed appear throughout the book, and is central to the story. The headquarters of the Scottish Rite Southern Jurisdiction, the House of the Temple, is the setting for important (and harrowing) sequences in the story. 3 - Why are Freemasons concerned about their treatment in a novel that is clearly labelled as fiction? Dan Brown has stated in his novels that the secret societies and organizations that appear in his novels are based on fact. While groups like the 18th century Bavarian Illuminati and the modern Catholic organization Opus Dei have indeed existed in fact, they bear little resemblance to Brown’s fictional universe. That is the prerogative of the novelist. Unfortunately, readers are not always aware of the difference between fact and fiction. 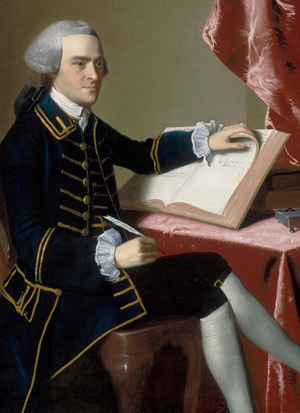 Merchant, Statesman and Freemason, John Hancock has the most famous signature on the US Declaration Independence. 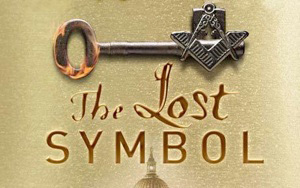 Dan Brown’s treatment of Freemasonry is overwhelmingly positive in ‘The Lost Symbol’, but he does engage in some dramatic license for the sake of his plot. For three centuries, almost immediately after its ‘official’ modern formation in 1717 in London, the fraternity of Freemasonry has been the subject of wild accusations and disinformation. According to preliminary information released by Doubleday, the initial global English language print run of ‘The Lost Symbol’ was 6.5 million copies. This is the largest first print run ever made by Random House, a unit of German media group Bertelsmann AG. The book sold one million copies on its first day of release, two million after the first week, and Doubleday ordered an additional 600,000 printed after the second week, based on its popularity. 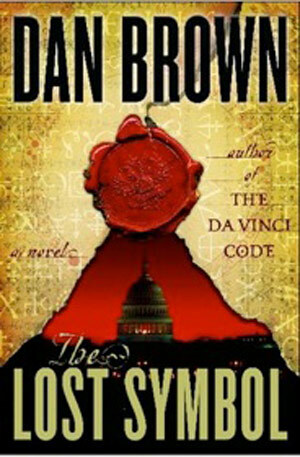 Brown’s previous novel, ‘The Da Vinci Code’, has sold more than 81 million copies since its 2003 release and topped best-seller lists worldwide. It is the sixth most popular book in history. Consequently, it would not be unreasonable to believe that ‘The Lost Symbol’ has the potential to eventually sell a min- imum of 40 to 50 million copies, and probably more. 5 - What is Freemasonry? 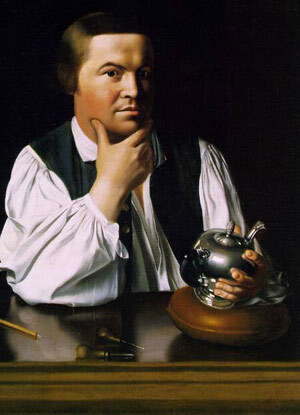 Silversmith, Statesman and Freemason, Paul Revere, was a ‘Founding Father’ of the U.S.A. & signer of the US Declaration Independence. Freemasonry is the world’s largest, oldest, and best-known fraternal organization. Mythically descended from the builders of King Solomon’s Temple in Jerusalem, Freemasonry is believed to have developed from the craft guilds of European stonemasons who built castles and cathedrals during the Middle Ages. Temporary buildings called lodges were built next to the cathedrals, and the Masons used them to meet, receive their pay, plan their work, train new apprentices, shelter and socialize. Although individual Scottish (and most likely Irish) lodges predate it, the first official Grand Lodge was established in England in 1717, transforming the craft from “operative” masons who constructed buildings, into a “speculative” fraternity that used the symbolism, tools, and terminology of the medieval masons as illustrations of character building. Masonic ceremonies use legendary tales of the construction of the biblical King Solomon’s Temple as symbols for building an inner temple in the hearts of men. By the 1730’s, organised Freemasonry had spread to Europe and the American colonies. Freemasonry universally spread over the surface of the earth on the colonizing ships of the British, the French and the Dutch. Benjamin Franklin, John Hancock, Paul Revere, George Washington, and many other ‘Founding Fathers’ were among the first Masons in the United States. (See Famous Freemasons) After the American Revolution, Grand Lodges were established in each state. Freemasonry is based on the belief that each man can make a difference in the world by improving himself, and taking an active role in his community. It is a charitable, benevolent, educational fraternity. Yet, Freemasonry forbids the discussion in Masonic meetings of religion, creeds, politics or other topics likely to excite personal animosities. Membership is open to men who believe in a Supreme Being and meet its qualifications and standards of character and reputation. One of Freemasonry’s customs is not to solicit members, but any man is welcome to request information about joining the fraternity. In the U.S.A., related organizations that base their membership on Masonic affiliation include, the York Rite (made up of Royal Arch, Cryptic Council and Knights Templar); the Ancient Accepted Scottish Rite; Allied Masonic Degrees; the Order of the Eastern Star; the Order of the Amaranth; Shriners International; and Grottoes of North America. Masonic related youth groups include DeMolay International for Boys; International Order of the Rainbow for Girls; and Job’s Daughters International. It should be noted that the Grand Lodges in the UK and New Zealand do not recognise non-‘regular’ Lodges. ‘The Lost Symbol’ book cover design as it appeared when released in the U.S.A.
Freemasonry initiates its members using three ceremonial rituals, referred to as degrees: the Entered Apprentice, the Fellow Craft, and the Master Mason. Regardless of any other Masonic organization a Freemason may join in his lifetime, and no matter how any other organization may describe or number their degrees, there is no degree of higher rank or importance in Freemasonry than that of the 3rd Degree, or Master Mason’s Degree. A closely related Masonic organization is the predominantly African-American Prince Hall Affiliated (PHA) group of grand lodges. The organization is named after Prince Hall, a prominent, free, black man from Boston, who started a Lodge in 1775. There are some 300,000 Prince Hall Masons in the U.S. and other countries around the world, including Ireland. There are also competing organizations that are not considered ‘regular’ or recognized by the mainstream grand lodges, and frequently cause confusion both inside and outside of the fraternity. HISTORY: Pre-release cover artwork of the U.S., the U.K. and Australian editions of ‘The Lost Symbol’ were originally disclosed on 9 July, 2009. The U.S. version of the cover shows the U.S. Capitol building, placing the story in Washington D.C., and a red, sealing wax seal. 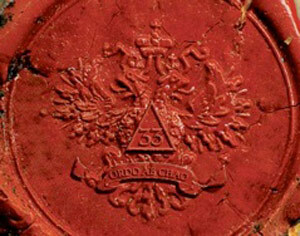 The wax seal features a double-headed eagle, resembling the seal of the Scottish Rite of Freemasonry, the number 33, and the Latin phrase, “Ordo ab Chao” meaning “Order from Chaos”. The seal is set against a background of symbols of the zodiac and alchemy. The quote is from George Bernard Shaw’s play, ‘Annajanska, the Bolshevik Empress’, written in 1919. 7 - What is The Scottish Rite? The Ancient and Accepted Scottish Rite is a system of Freemasonry. Despite its name, the Scottish Rite is not really Scottish, but primarily French. The name is believed to have come from the influence of Scottish Jacobite Masons living in exile in France in the early 1700’s. In certain bodies of the Scottish Rite, a series of Masonic degrees numbered 4 through to 32 are conferred. In the United States, these degrees are conferred as a series of dramatic plays which illustrate certain moral and philosophical lessons. To join the Scottish Rite and receive its degrees, membership in a Masonic Lodge is first required. Of the 1.5 million Freemasons in the U.S., approximately 500,000 are Scottish Rite Masons. To become a 32° (degree) Scottish Rite Mason in the U.S.A., it is not necessary to witness or participate in all twenty-nine of the Rite’s degrees. A candidate might participate in, for instance, the 4th, 14th, 18th, 30th, 31st and 32nd degrees, but not the others in between, yet is still considered a 32nd degree Mason. Because the degrees are literally major theatrical productions that require large casts, props, scenery, lighting and music, not all of them are presented at one time for every class of candidate. In addition, he might simply receive a brief lecture or explanation of a degree, be shown its signs and passwords - this is called “communicating” the degree. Many Scottish Rite chapters (called “valleys”) rotate the presentation of the other degrees over a period of years so a candidate can eventually see all of them. But as long as he has had the 32° conferred upon him, a man is considered a 32° Scottish Rite Mason. The red wax seal features a double headed eagle, similar to that used by Scottish Rite Freemasonry. The number 33 and a motto: Ordo ab Chao (Order out of Chaos). In addition, the Scottish Rite confers a 33rd degree, “Inspector General.” This is an honourary office for Scottish Rite Masons who have made a significant contribution to society or to Masonry in general. Far from a “secret,” recipients are announced in public newspapers, and are entitled to place 33° after their name. However, these degrees are often misunderstood by the public. A 32° or 33° degree Mason is not considered to be a “high-ranking Mason” simply by virtue of his degree number. In the U.S.A., those who are elected to serve as part of the Supreme Council’s governing board must be 33° Masons, and are known as “Sovereign Grand Inspector General.” The top officer of a Scottish Rite jurisdiction is a Sovereign Grand Commander. Regardless of any other Masonic organization a Freemason may join in his lifetime, and no matter how any other organization may describe or number their degrees, there is no degree of higher rank or importance in Freemasonry than the 3rd degree, the Master Mason. The Scottish Rite degrees are comparable to continuing education, not higher authority. The Ancient and Accepted Scottish Rite in each country is governed by a Supreme Council. There is no single international governing body. Each Supreme Council is sovereign in its own jurisdiction. The territory of the U.S. is divided into two governing Scottish Rite bodies. The Supreme Council of Ancient Accepted Scottish Rite of the Northern Masonic Jurisdiction governs the Rite in 15 U.S. states, roughly north of the Mason-Dixon line and east of the Mississippi. Its headquarters are in Lexington, Massachusetts. 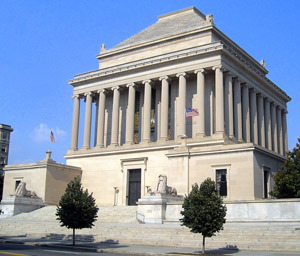 The Supreme Council of the Ancient and Accepted Scottish Rite, Southern Jurisdiction was first formed in Charleston, South Carolina, and is now headquartered in Washington D.C. Its building is known as The House of the Temple, and is located at 1733 16th St. NW. The Southern Jurisdiction governs the remaining 35 U.S. states. The key theme is similar to Freemason, teacher and author, Robert Lomas’ book ‘Turning the Hiram Key’. 8 - The opening pages of ‘The Lost Symbol’ describe a 33rd degree Scottish Rite ritual ceremony. Do Freemasons really drink out of skulls? The skull has appeared for centuries as a common symbol of mortality, not only in various degrees of Masonic ritual, but in many other historical, fraternal and religious organizations. The Latin term, “memento mori,” means “remember, you will die,” and is often accompanied by a depiction of a skull as a reminder of the end of physical life. Such specific images have appeared as early as Pompeii in the 1st century A.D. The specific ceremony described by Brown in the prologue of ‘The Lost Symbol’ appears to be adapted from a sensationalised exposé, Scotch Rite Masonry Illustrated, published in 1887 by the Reverend John Blanchard. Blanchard’s description of the 33rd degree has been repeated by many anti- Masonic authors over the years, even though it is not accurate. 9 - Is the pyramid a common Masonic symbol? No. Central to the plot in ‘The Lost Symbol’ is a pyramid that character Robert Langdon carries around in search of clues. The pyramid does not appear in the symbolism of regular, accepted Freemasonry or its appendant groups, the Scottish Rite or the York Rite. This is a long-standing myth. “ALL GREAT TRUTHS BEGIN AS BLASPHEMIES” written in the so-called ‘Masonic Cypher’. Neither is the “unfinished pyramid” topped by the “all-seeing eye” found in the Great Seal of the United States, as seen on the reverse of the dollar bill, a Masonic symbol. The all-seeing eye within a triangle first commonly appeared as an artistic representation of God in Catholic Renaissance art in the 1500s, with the triangle representing the Holy Trinity. The symbol - with and without the Trinitarian triangle - has been used by many religious and fraternal groups as a nondenominational representation of God. 10 - Why so secret? 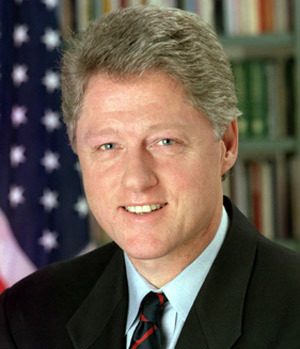 Associated with Freemasons, Bill Clinton never actually became a Freemason. Freemasonry does have secrets, but Masonic secrecy is one of the most misunderstood aspects of the fraternity. Freemasonry teaches its philosophy to its members through symbolism, and secrecy is actually a symbol of honour. Originally, the medieval stonemason guilds kept the practices and knowledge of their skilled trade as closely guarded secrets, to protect the value of their livelihood, and to ensure only qualified men were employed. Likewise, passwords and secret signs were developed so members of the guild in different parts of the country could recognise each other, even if they had never met. These traditions have been retained by the modern Freemasons. If a person can’t be trusted to keep a simple secret like a password or a handshake, his word isn’t really trustworthy. He is not an honourable person. There are other secrets, besides these modes of recognition. Some have to do with the specifics of Masonic rituals and ceremonies of initiation. Others are more personal, and different for each Freemason. Like all initiatic experiences in the world, the real secrets of Freemasonry are the effects its teachings and ceremonies have on the individual, and how he applies them to his life. 11 - Dan Brown’s book alleges that high-ranking members of the government are Freemasons. Is that true? One of the most stunning Masonic buildings, The Scottish Rite Southern Jurisdiction’s HQ, The House of the Temple, Washington D.C.
PHOTO: © SCOTTISH RITE S.J., WASHINGTON D.C. There have been 14 U.S. presidents who have been Freemasons, the last one being Gerald Ford. (See Famous Freemasons elsewhere on this site.) (Ronald Reagan was made an honourary 33rd degree Scottish Rite Mason, which has no real Masonic standing; as a teenager, Bill Clinton was a member of the Masonic youth group, the Order of DeMolay, but never became a Mason; neither George H.W. Bush, nor George W. Bush are Freemasons; Barack Obama is not a Freemason). As for members of Congress, military leaders, cabinet members and other important officials in the government, Freemasons’ organizations keep no official records as to famous contemporary brethren and their positions, and even if they did possess such information, they would not make such private information public. 12 - Are the public allowed in to enter and view the Masonic buildings that appear in ‘The Lost Symbol’? 13 - Is Dan Brown’s description of the George Washington Masonic Memorial accurate? The George Washington Masonic Memorial, Shuter’s Hill, Alexandria, Virginia, dominates the skyline. The fifth and most basic style of column, the Tuscan, appears in the Memorial ground floor, where eight huge columns support the entire Memorial. 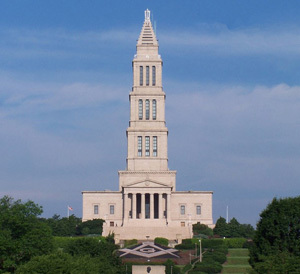 The Memorial, however, does not “stand as a physical symbol of man’s intellectual ascent,” rather; it is a memorial to the one man who best exemplifies the virtues and teachings of Freemasonry, namely George Washington. Washington did not ascend into greatness simply by his intellect, but through his deep morality, his profound spirituality and devotion to country. The 7th Floor is the Cryptic Masons Room, sponsored by the General Grand Council of Cryptic Masons, also known as Royal & Select Masters. On the 8th Floor is a Christian Chapel, sponsored by the Grand Encampment Knights Templar of the United States. The 9th Floor is the Observation Deck level and contains a reproduction of King Solomon’s Throne Room. It was built by the ‘Tall Cedars of Lebanon’ – a “fun, fraternal and philanthropic” organization of Freemasonry. NOTE: Similar to the ‘Shriners’, ‘Tall Cedars of Lebanon’ is a Masonic charity and especially deals with sufferers of Neuromuscular disorders. It has about 13,000 members in the USA. 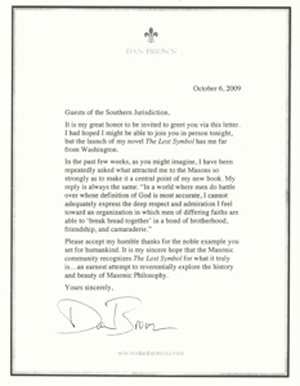 Dan Brown’s letter to The Scottish Rite, Southern Jurisdiction, Washington D.C.
14 - Is Dan Brown a Freemason? He was tempted to join, but, “If you join the Masons you take a vow of secrecy. I could not have written this book if I were a Mason,” he says. “And now?” asked Hillel Italie. “In the past few weeks, as you might imagine, I have been repeatedly asked what attracted me to the Masons so strongly as to make it a central point of my book. My reply is always the same: “In a world where men do battle over whose definition of God is most accurate, I cannot adequately express the deep respect and admiration I feel toward an organization in which men of differing faiths are able to ‘break bread together’ in a bond of brotherhood, friendship, and camaraderie. Deciphering ‘The Lost Symbol’: Freemasons, Myths and the Mysteries of Washington D.C. This webpage article is Copyright © 2009-2011 by The Masonic Society Inc., and has been created in cooperation with the Masonic Service Association of North America, and the George Washington Masonic Memorial, and is used by permission. This article has no official connection with Dan Brown, Doubleday, Random House, or Bertalsman AG. 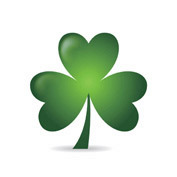 The thanks of Lodge St. Patrick No.468, Irish Constitution in New Zealand, goes to Christopher Hodapp for his gracious consent in allowing us to use his article. 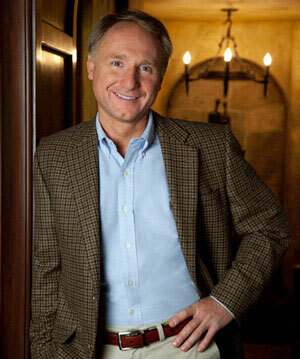 Dan Brown, famed author of ‘The Lost Symbol’. Dan Brown is the author of numerous ‘Number 1’ bestselling novels, including ‘The Da Vinci Code’, which has become one of the best selling novels of all time (It has sold over 80 million copies. ), as well as the subject of heated debate among readers and scholars. Brown’s novels are published in 52 languages around the world with 200 million copies in print. The son of a mathematics teacher and a church organist, Brown was raised on a prep school campus where he developed a fascination with the paradoxical interplay between science and religion. These themes eventually formed the backdrop for his books. He is a graduate of Amherst College and Phillips Exeter Academy, where he later returned to teach English before focusing his attention full time to writing. 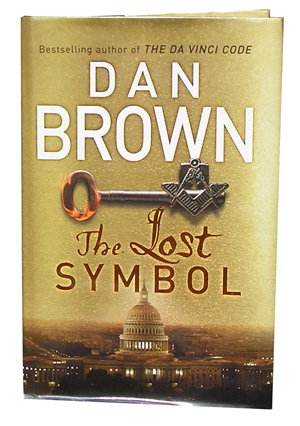 Dan Brown is currently at work on a new book as well as the sceenplay for the Columbia Pictures film version of his most recent novel, the Masonically based ‘The Lost Symbol’.